Welcome to the world of mobile wallet revolution. I will be taking you to a few minutes journey to redefining the mobile app payments methods and the ways to pay through your mobile wallet. So, folks hold tight on your chairs, remain focused on what I tell you, be prepared for an exciting journey and here we go! We are very close to a cashless utopia for creating a world that will only deal through cards. The niche market of mobile app payment is heating up every single day. All thanks to these mobile wallets that we are able to make an in-app purchase, pay to a needy pal, or even transferring money to some other countries. Remaining accustomed with the ways that could help you pay through mobile wallets is the need of the hour. And to help you get an early taste, here we go on a test drive! As the name suggests, GoCardless is there to empower your debit payment methods. All that payers need to do is to provide their bank account details. With these details, the payment is sent to other accounts. The best thing about this responsive platform is that the payment can easily be transferred easily to anyone at any corner of the globe. Venmo is there for you if you wish to pay through social networking. It offers transfer option from its apps to mobile number, email addresses or even to the Facebook accounts. With payment through Venom, you get a chance to transfer the balance at an affordable price. And, the charges are incurred only if you are paying through credit card. It is one of the most amazing mobile wallets that does everything a mobile wallet can do efficiently. However, the option is available for US users only. With this outstanding mobile wallet, you can pay at the checkout, send money to any of your friends and family members with just an email address. This wallet makes use of QR code technology that helps users to make payments simply by scanning through their mobile devices. The wallet is one popular among the users because of the fact that it offers a number of loyalty programs and rewards to them. And for those users, who are using the mobile wallet for the very first time, there is a huge user discount. 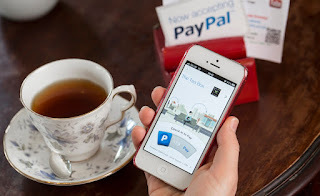 The world of mobile wallet payments is growing with a lightning speed. The competitors are growing like never before. But the question is who is going to survive in this race? As the competition is surging, it is getting tough to remain successful. However, the prediction says that mobile wallet landscape is sure to get bigger and more popular in the days to come.